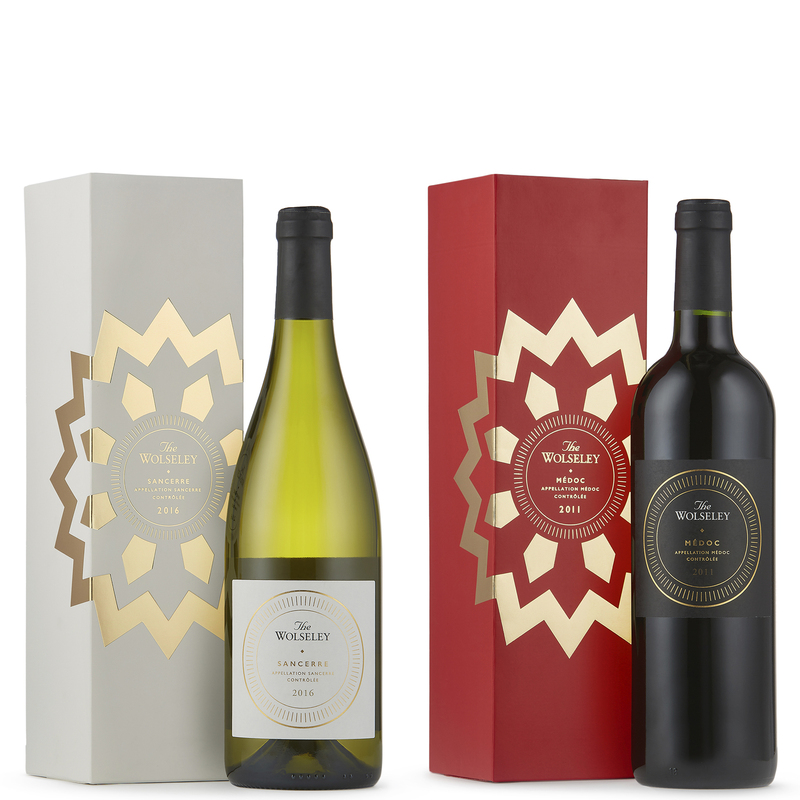 These specially selected wines from The Wolseley Collection are presented in their own unique gift boxes. A medium-bodied claret offering notes of classic blackcurrant, a fine overlay of well-balanced vanilla oak and silky polished tannins, and a beautifully fine and crisp white wine with aromas of white flowers and citrus fruits, from one of the oldest wine-growing families in Sancerre. Gift set contains: Château La Tour de By, Médoc 2011 (75cl) & Domaine André Dezat & Fils, Sancerre 2016 (75cl). Please note that you must be over 18 to purchase this product. Delivery to the UK and selected European countries only. Product of France. Contains Sulphites.